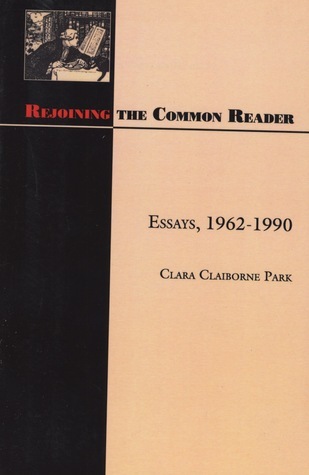 Rejoining the Common Reader is suffused with the impulse that motivates Clara Claiborne Park's distinguished writing and teaching: the desire to related literature to the experience of its readers. This humane, balanced, and entertaining book will appeal to anyone who longs to recapture the pleasure of reading for personal enrichment and to teachers of literature who haveRejoining the Common Reader is suffused with the impulse that motivates Clara Claiborne Park's distinguished writing and teaching: the desire to related literature to the experience of its readers. This humane, balanced, and entertaining book will appeal to anyone who longs to recapture the pleasure of reading for personal enrichment and to teachers of literature who have grown to resent the intrusiveness of theory and theorizing and wish to reexamine what they are doing to, for, and with their students.